PAUL’S FAMOUS BERTRAM QUIZ IS BACK IN THE CLUBHOUSE, WITH MUSIC QUESTIONS, DINGBATS AND GENERAL KNOWLEDGE. 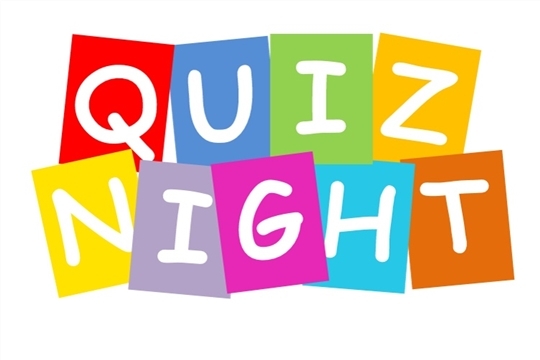 THE BAR WILL BE OPEN AT 8:00 PM WITH THE QUIZ STARTING PROMPTLY AT 8:30 PM. THERE WILL BE FOOD BY CHEF DAVE DE BARN HEY AVAILABLE HALF WAY THROUGH TO GIVE YOUR BRAINS A REST! PICK YOUR QUIZ TEAM IN ADVANCE OR JUST TURN UP AND YOU CAN JOIN OTHERS. IT’S FUN WITH A TOUCH OF COMPETITION, FROM SOME! ALL THE QUESTIONS ARE GUARANTEED TO BE EASY – IT’S THE ANSWERS THAT TEND TO BE MORE DIFFICULT! Drop Glyn a note on gmorgan8@hotmail.com to let us know you are coming and enable us to cater for the right number. Cheers, hope to see you all there. Members and non-members welcome of any age so feel free to bring friends along. There will be a small charge of 2.00 to cover food, but for those regulars Dave's brilliant curries are well worth it.